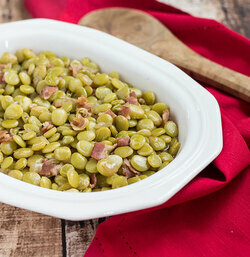 Recipes - Calhoun Produce, Inc.
Click on the recipe photos to shop for ingredients online TODAY! 1. Whisk together flour, sugar, baking powder, and salt in a mixing bowl. 2. In a small bowl, whisk together milk, egg, melted butter, and berries. 3. Add to the dry ingredients and stir lightly till just moistened. 4. Pour batter into a freezer ziplock bag. Snip the corner and squeeze the batter into well greased donut pans. 5. Bake at 425° for 8-9 minutes or till lightly browned. 6. Remove from pans. Cool and frost with strawberry cream cheese frosting. 1. Beat cream cheese and melted butter till very smooth. ​2. Beat in berries, salt, and enough powdered sugar to get a spreadable consistency. In a large, lidded pot add all the ingredients. Over medium-high heat bring the mixture to a boil. Reduce heat to a simmer, cover, and cook for 10 minutes. Place a fine mesh strainer over a medium bowl. Pour in the strawberry mixture, and work the mixture through the strainer. Use a wooden spoon to press the strawberries to release their liquid. Place strawberry solids in a container for a later use (perhaps freezer jam). Return the strawberry liquid back to the pot. Bring to a boil over medium-high heat, then reduce to a low boil. Continue to boil, with the lid off, for about 15-20 minutes, or until the mixture thickens to a syrupy consistency. Let the syrup cool to room temperature, about 1-2 hours (it will thicken even more as it cools). Finally, pour the syrup in sterilized jars or bottles. 1. Heat oven to 160 C, Gas 3, 310 F. Grease and line your baking tin. See here for how to line. 2. Get all your ingredients ready, i.e mash the strawberries so there are chunks, i.e don’t over mash!, sieve the flour, and add the salt and baking powder to the flour etc. 4. Slowly add the beaten eggs to the mixer, on a low-speed setting, a bit at a time. If the mixture starts to curdle or split, add a spoonful of your sieved flour, keep on adding the eggs, and a bit of flour if necessary, until all the eggs are added. 5. Add half the milk with half of the flour, keeping the mixer on a slow speed. Once combined, add the vanilla extract, the rest of the milk and flour. Right at the end, fold in the mashed strawberries. 6 Transfer the cake mixture to the greased and lined loaf tin. Place in the oven for 1 hr and 20 – 30 minutes. Test if done by placing a skewer in the centre of the cake and make sure it comes out clean. Every oven is different so cook times will vary a little. Allow to cool. Store in an airtight container. And there you have our Strawberry Pound Cake! This cake is best eaten the following day, although it doesn’t usually last that long! 2) Place them in a pot and add water to at least cover the vegetables and then place them on the stove at med-high heat for at least 30 minutes to an hour (depends on variety). Lady fingers, sadandy, white acres and other young/green peas need to cook longer than any other varieties. 3) Add your flavoring. That can be olive oil with salt and pepper, Goya seasoning, or a piece of ham or bacon. Season them to your personal tastes. 4) Once they are finished cooking, remove them from the heat and serve. They should be tender and not hard or crunchy. 2) COMBINE mix and ingredients above; stir thoroughly. pan, iron skillet, corn stick mold or muffin tin. If desired, non stick cooking spray may be used. 4) BAKE 20 - 22 minutes or until golden brown. remove baked bread from pan, serve and enjoy. 1) Place pork, rubbed down in seasonings or rub of choice, in crock pot along with chopped red onion and garlic cloves. 2)In a small bowl whisk soy sauce, oyster sauce, broth and pineapple pepper jam. Pour over pork and onions, using a spoon to combine in crockpot. Cook on low for 8 hours. Remove pork from crock pot pulling off the bone and shredding. Reserve leftover juices. Serve over rice with fresh Pico De Gallo , Avacado, or Pineapple Salsa! Directions:1 - Preheat the oven to 350F. Line a large baking sheet with parchment paper. 2 - In a small bowl, combine 2 tablespoons of the brown sugar, 1 teaspoon of the salt, 1 teaspoon of the pepper, the paprika and the garlic powder to a small bowl. Stir to combine. Rub the mix on the chicken pieces. 3 - Heat the oil in a Dutch oven or heavy bottomed pan. In batches, add the chicken to the hot pan and cook until browned on both sides, about 3 minutes per side. Transfer the browned chicken pieces to the prepared baking sheet. 4 - Add 1/2 cup of bbq sauce to a small bowl and brush over both sides of the chicken. Bake for 25 to 35 minutes, or until cooked through. Remove from the oven and brush with additional sauce and serve the remaining sauce for dipping. 3) Pour 1/4 batter into a hot buttered pan for each pancake. 4) Flip pancake when bubbles in the batter start to arise. 1) Combine Cheeseball Mix with cream cheese. Fold in whipped topping until well mixed and set aside. 2) Meanwhile, after biscuits have cooled, cut them in half horizontally. 3) Cheeseball mixture and berries should be divided evenly between biscuits.